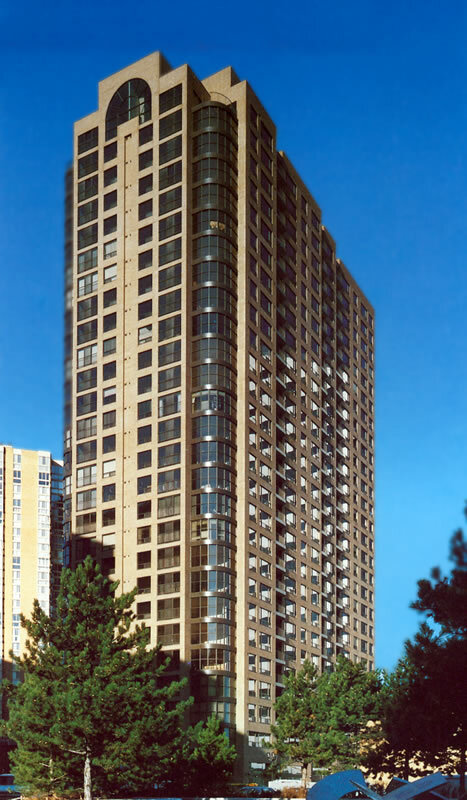 This prestige 32 storey tall condominium tower residence is part of the Madison Centre, in the core of North York. The superstructure is composed of unbonded post-tensioned concrete one-way slabs spanning 11 metres, between supporting shear walls. The shear walls of the apartment superstructure are transferred onto columns which penetrate the shopping concourse and the subgrade parking garage, below the concourse. The concourse level is connected by a tunnel, to an underground network, linking the building to the Yonge Street subway station, at Sheppard Avenue.